Below is the January NWCA Newsletter. 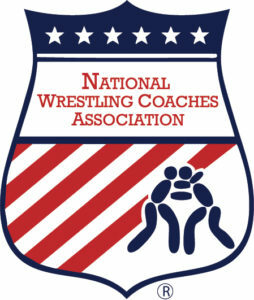 The IWCOA and many of its member coaches maintain an active role in the NWCA. We recently launched our new WIBN webite which includes a searchable business directory, event management software for the local WIBN chapters, and a job board for any past or current wrestler looking for a job and/or wanting to post a job. For those NWCA members who can benefit from the business networking aspect of WIBN, please go to www.wrestlersinbusiness.org to join. Formalizing our local WIBN chapter “playbooks” so if you are interested in starting a new chapter, please call the NWCA promptly. We will be hosting a terrific WIBN National networking event at the NCAA Division I Championships on Saturday, March 17 from 2 to 4pm. Our keynote speaker will be Hollywood movie producer and former wrestler, Jonathan Koch. Registration is limited so if you have not already done so, please go to https://www.wrestlersinbusiness.org/events/ to purchase your ticket. For those of you who may be unfamiliar with WIBN, this organization has been established to provide a vehicle for wrestlers to do business with wrestlers and/or for wrestlers to hire wrestlers. In addition, local WIBN chapters are forming every day to provide local networking events for wrestlers who are part of the business community. A basic WIBN membership is only $50 and the primary benefits include a listing on the searchable WIBN business directory and/or discounts to attend local and national WIBN networking events. I also want to mention that we continue to make terrific progress with respect to new intercollegiate wrestling programs being added. As of today, we have 19 new collegiate teams (10 men’s and 9 women’s) for the 2018/19 wrestling season and more on the way. This brings us to a total of 192 new college teams (at all levels) being established since 2000. While we should all celebrate this phenomenal growth, the real success lies with the sustainability of our new and existing college teams. The High school version of the CEO Leadership Academy will resume this upcoming spring. Nine Academy workshops were conducted last fall and we will conduct 4 to 5 additional workshops this spring/summer. The locations and dates will be announced on the next newsletter. On January 4th and 5th, in Fort Wayne, Indiana, we conducted the 2018 NWCA National Multi Duals. A huge congratulations to all of the winners in each of the five divisions: Division II; St Cloud State, Division III; Augsburg, NAIA; Grand View, NJCAA; Clackamas, and Women; Campbellsville. I think that is all for now. Enjoy the rest of the season and I hope to see many of you at one or more of the collegiate national championships in late February and March.